Queen Anne. 1-story, gable-roofed frame house with 2-story, 2-bay front section. 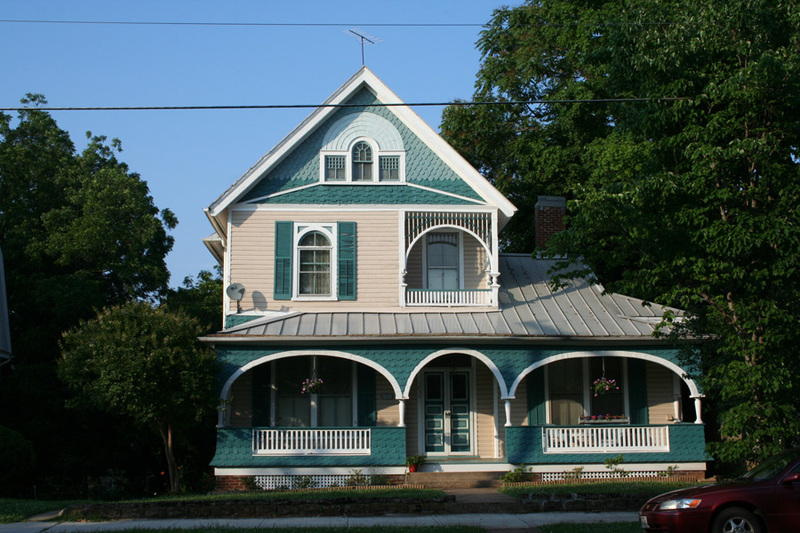 This has pedimented gable and with a shingled face, Palladian window, recessed porch on the second floor with Eastlake trim and an arched window. 1-story porch has arched bays and shingled front. Double doors include transom. Modified to duplex. Rivermont Company speculative house. This house, one of the earliest in Rivermont, was built as a "Model Home" by the Rivermont Land Company around 1895. Architect was probably Edward G. Frye. Another one like it is located at Rivermont Avenue and Wall Street in the lower Rivermont section.